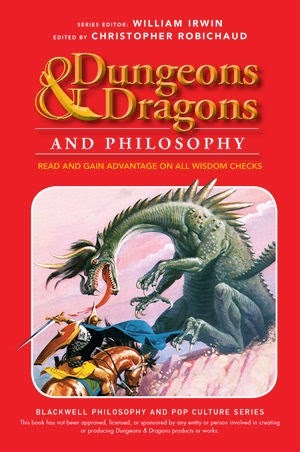 Congratulations to my friend Christopher Robichaud on his new book, Dungeons & Dragons and Philosophy! There is a nice overview of the book by Ethan Gilsdorf here. It looks great, and I'm looking forward to delving into it once the holidays arrive. Kudos to Christopher! I think that he rolled a 'natural 20' with this one. During the early 1980s I was something of an Anglophile, at least with respect to RPGs. I generally preferred White Dwarf to Dragon (these were the years during which White Dwarf was a general RPG-focused magazine), I loved the Fighting Fantasy books (they were my ‘fix’ when I couldn’t get together with my friends for a regular game), among my favourite AD&D modules were the ‘U’ and ‘UK’ ones, and I was a big fan of the ‘weird’ Fiend Folio (the Githyanki, the Githzerai, the art of Russ Nicholson, etc.). During this time I picked up a few issues of Imagine magazine (now long lost, alas). Unlike White Dwarf, it was hard to get Imagine at my local gaming shop. Those few issues included some articles on a world called ‘Pelinore,’ which seemed cool and unusual. I recall wondering what the whole setting was like. Now that setting has been made available – for free – by Kellri, in the Collected Pellinore. Kellri has brought together, in a single document, the Pellinore material from Imagine magazine and GameMaster Publications from 1984-85. It can be obtained here. 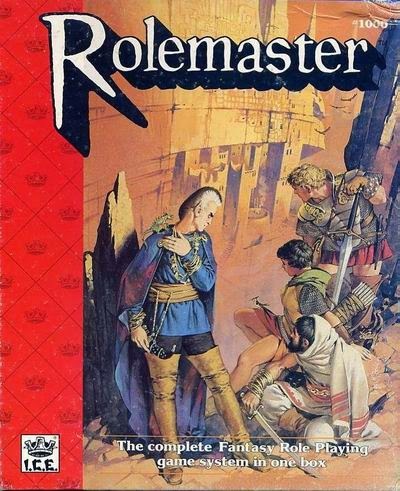 I used to be a huge fan of Rolemaster, and Amthor's work in particular, including his Shadow World setting, or at least the continent of 'Jaiman' (I never really got into the other areas). I remember finding the mix of fantasy and science fiction intriguing decades ago. Now I know that such ‘mixing’ was common in the early days of FRPGs, in such settings as the Wilderlands and Blackmoor, but in the 1980s it seemed quite novel to me, as I was unfamiliar with those settings. Anyhow, it's been many years since I last thought about Shadow World at any length, but I may check this out! I'll be trying out the 7th edition Call of Cthulhu rules tonight (using the free "Quick-Start" version). Having run one session of 5th edition D&D (using the Starter Set), and having looked a bit at the Players’ Handbook and the online Basic Rules, it is clear that D&D 5e is not an ‘old school’ game. It simply has too many ‘new school’ elements for it to be that (such as ‘at will’ cantrips, full recovery of hit points with every ‘full rest,’ and so forth). Nor do I think that it ever was intended to be an ‘old school’ game. Rather, it was designed to be as ecumenical as possible. Usually such efforts turn out to be horrible, in my experience, since in trying to please everyone the product in question ends up pleasing no one. But in this case it seems that one can run D&D 5e in an more-or-less ‘old school style’ without too much difficulty – something that was not easy to do with 3e D&D in my experience (and, I gather, simply impossible with 4e). Moreover, there is no reason why a 5e game cannot borrow elements and ideas from older editions and existing OSR games and settings, and vice versa. At the very least, it looks quite feasible to run, say, a 1st edition AD&D module using the 5e rules without too much conversion work. Both games belong to the same genus. 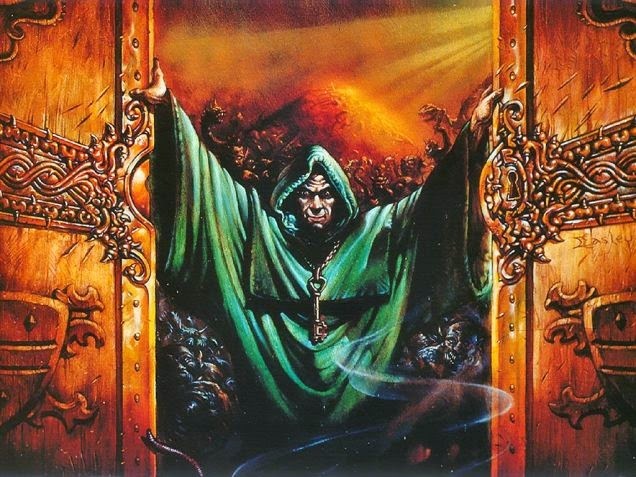 From an ‘old school perspective,’ so to speak, I would say that 5e D&D resembles Castles and Crusades (a game that, years ago, I found to be a refreshing change from 3e) more than anything else on the market these days. Like C&C, it can be run in an ‘old school’ way, and clearly draws much of its inspiration from classic D&D and AD&D. Yet it also includes a number of ‘innovations’ and employs a more unified underlying structure. 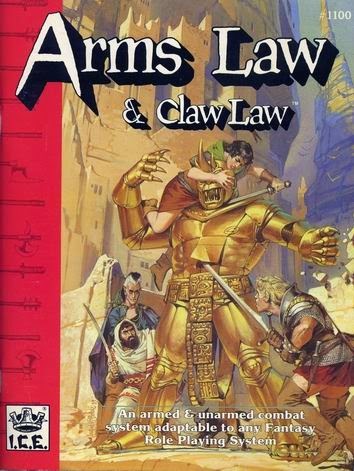 Indeed, if I wanted a pithy way to describe (how I would run) 5e D&D, I would say that it is a superior version of C&C. 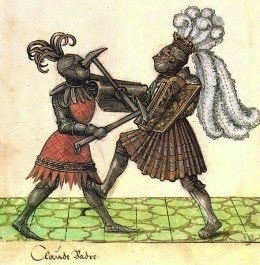 So D&D 5e and the OSR should be friends – or at least peaceful neighbours – and not enemies. 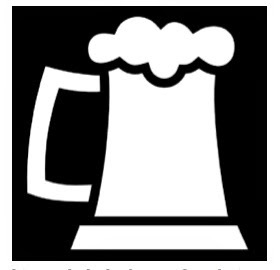 Lawrence Whitaker (co-author of RuneQuest 6, among many other things) is hosting a few gamers at his place this weekend. 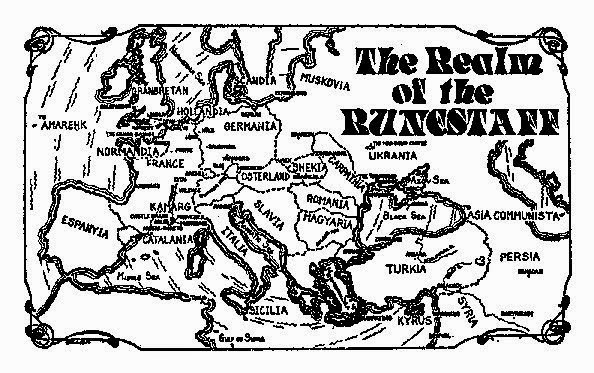 Unsurprisingly, we likely will play a couple of RQ6 games: a return to the epic Young Kingdoms campaign that Lawrence GM’ed three years ago, as well as something in his forthcoming Mythic Britain setting. Also in the queue is a session of Trail of Cthulhu (which I’ve owned for years, but never played). 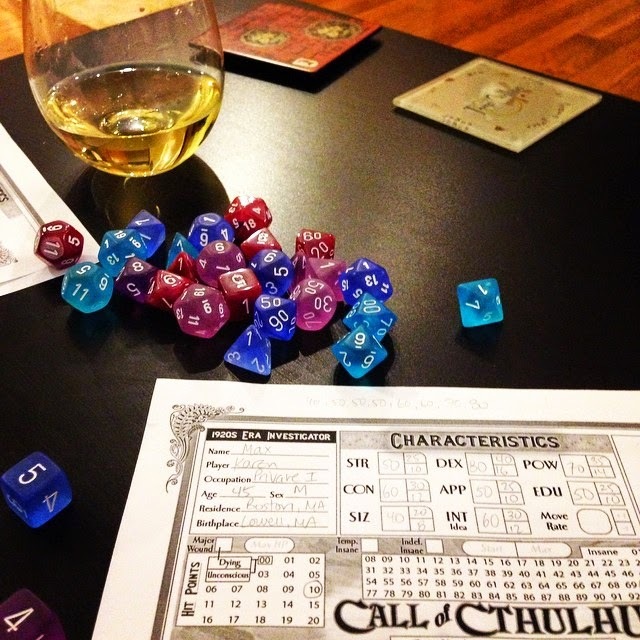 I plan to run either a session of Call of Cthulhu (7th edition) or Dungeons & Dragons (5th edition). After this weekend I hope to write up some of my impressions of these games, especially the ones that I haven’t played or run yet (I already have played and have a very positive opinion of RQ6). 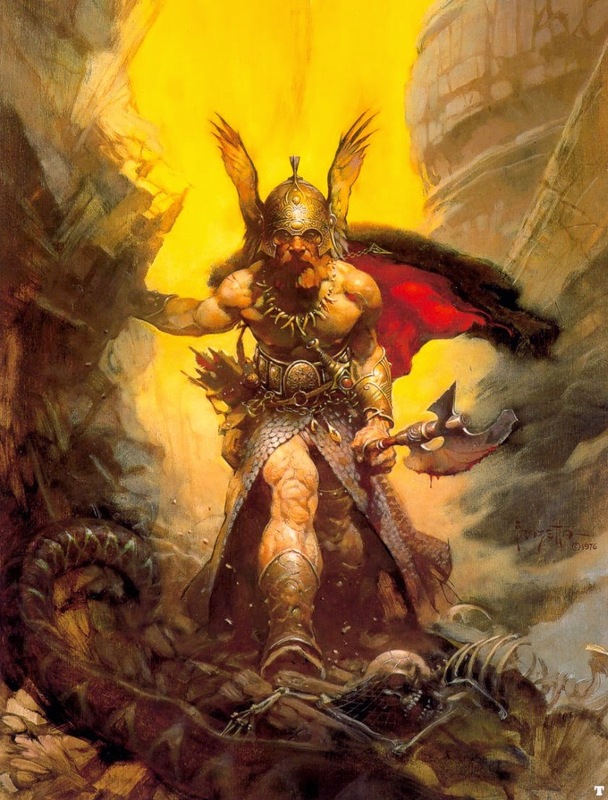 Mythic Britain is a forthcoming campaign setting for RuneQuest 6. The good folks at The Design Mechanism have released a preview of the setting material, as well as a complete adventure for the setting, "Caves of the Circind." 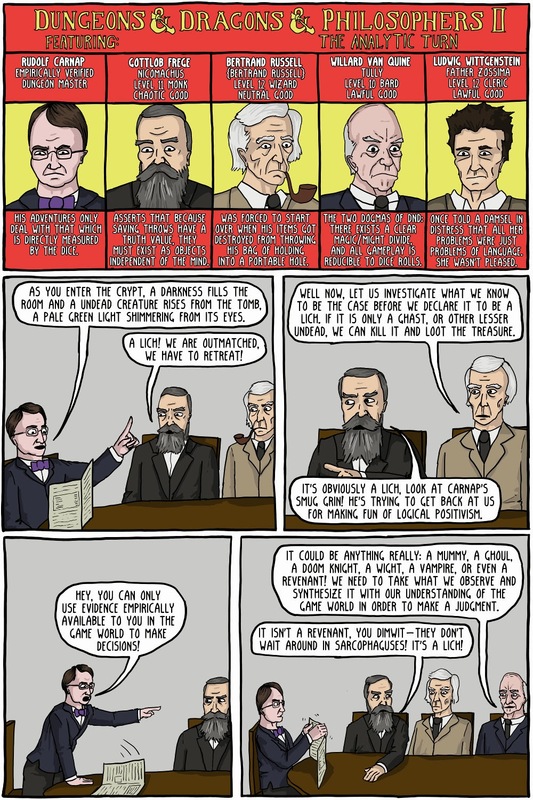 Another classic from the brilliant Existential Comics: "Dungeons & Dragons & Philosophers: The Interdisciplinary Disaster". 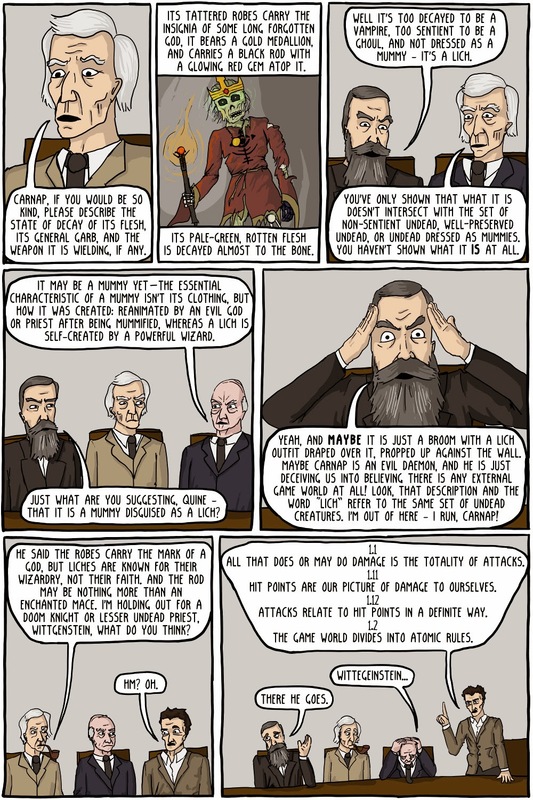 I especially like the description of Georg Cantor: "He solved the problem of what happens when you do infinite damage to a monster with infinite hit points. It dies." 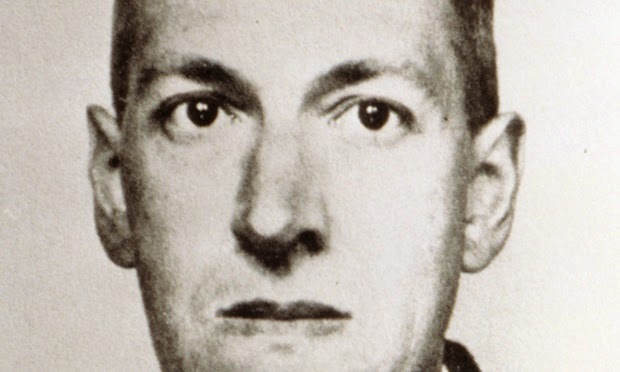 On this day in 1890 H. P. Lovecraft was born. 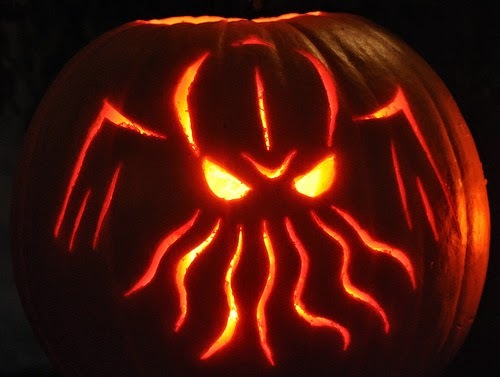 Here are 10 things to know about the creator of the Cthulhu Mythos. Back in my high-school days, my friends and I used to find endlessly amusing the Jack Chick comic, "Dark Dungeons." Now, much to my amazement, there is a film based on that comic! I watched the eight minute preview here, and it looks quite funny. I plan to watch the full version, available here, in the very near future. Certainly its portrayal of the popularity of RPGs and the people who play them is extremely realistic! The good people at the Design Mechanism have made available a free adventure for RuneQuest 6 entitled 'Sariniya's Curse' (available here). 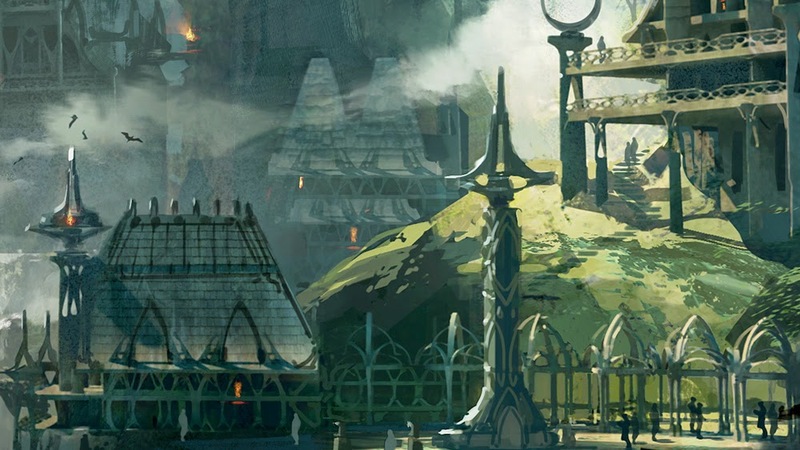 It is set in the same region as the city of Meeros, as described briefly in the (also free) Game Master's Pack. Thus 'Sariniya's Curse' can be combined with the adventure 'Meeros Falling' (from the GM Pack), providing starting RQ6 GMs with two free related adventures with which to start a campaign. Jeff Grubb has posted his review of the new Player's Handbook (5th edition Dungeons & Dragons) here. After a quick skim, I think that the PDFs look quite attractive. I'm not a fan of all of the art pieces (unsurprisingly, they range in quality), but the overall appearance of both books is very impressive. 7e is definitely the most attractive version of CoC yet produced by Chaosium. Also, it's worth noting that the Keeper's book includes all of the rules, so CoC remains a 'one book' RPG. The Investigator Handbook includes only the information relevant to players. I rather like that this option is available, as it keeps all the important Mythos 'secrets' exclusively in the hands of Keepers (at least in theory). Right now, I find the shift to % abilities the most distracting change in 7th edition. And I remain uncertain about many of the other changes in this edition. However, I'm going to try to keep an open mind about 7e, and will be giving it a shot in September to see what I think of it in practice. 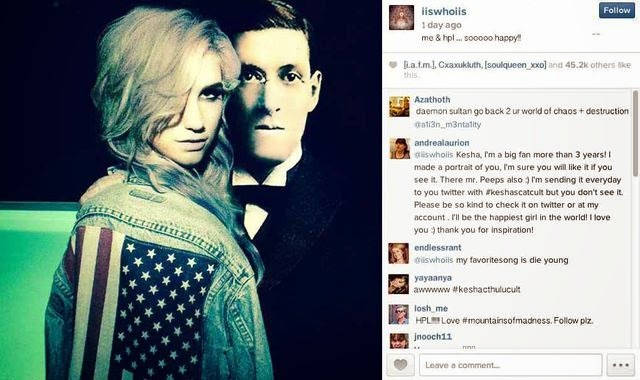 This Clickhole article, "Saturday's Party at H. P. Lovecraft's Pad Was INSANE," is quite funny (IMHO). The impression the scene generated in my consciousness is so enduring and frightful that it shakes me to recall it now. And lest I burden you with offensively irrelevant and dangerous speculation, I shall leave unsaid what else transpired that night in H.P.’s baroque, Cyclopean abode, and simply say that it was off the chain, indeed, off any chain conceivable to the foremost minds of our time. 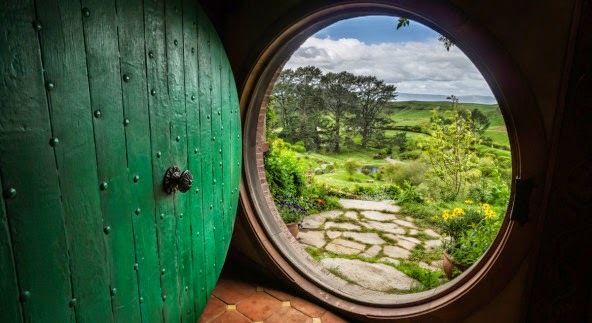 The Lord of the Rings was published on July 29th, 1954. Here is a nice piece on its 60th anniversary by Ethan Gilsdorf. Here is a preview of some of the art that will be in the 5th edition D&D Players Handbook. It also includes the pages from that book that present the ‘Warlock’ class. Overall, I think that the art is solid. I love the scene of the wood elf forest city. I dislike the pictures of the two wizards, both of whom are striking rather silly ‘action poses.’ The other pictures are fine, in my view, and have the virtue of portraying adventure scenes rather than adventurer poses. On balance, based on what I’ve seen so far, I like the art for 5e a lot more than that of 3e (and, based on my limited exposure, 4e). I never cared for the ‘dungeon punk’ look that was introduced with 3e, so I’m glad to see that it has been purged, for the most part, in the new edition. The Warlock class looks interesting, but I’m puzzled as to why it is an ‘arcane’ spell casting class as opposed to a ‘divine’ class, given that it receives its powers via a ‘pact’ with a ‘higher-power.’ Nonetheless, the Warlock seems quite flavourful. 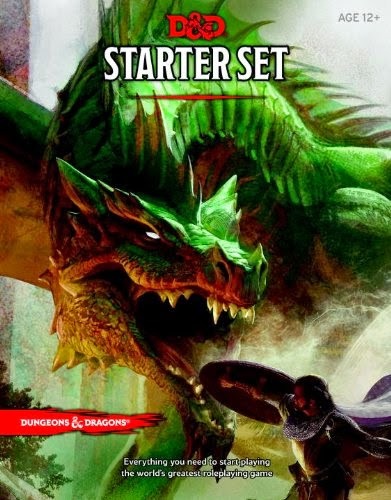 At some point (hopefully this summer) I’ll sit down and read through the Starter Set and the free Basic Rules in order to arrive at a judgement concerning 5e. However, based on the snippets that I’ve read so far, I think that I like it much more than I ever did 3e (and 4e, of course, is simply beyond the Pale). I’ve been reading the ‘Kane’ short story anthologies by Karl Edward Wagner over the past few weeks. So far I’ve finished Death Angel’s Shadow and The Book of Kane, and presently am in the midst of Night Winds. I eventually plan to read the Kane novels as well – Bloodstone, Dark Crusade, and Darkness Weaves – though I likely will take a break after I finish up Night Winds, and so probably will not complete the entire Kane series until sometime this autumn or winter. Based on what I’ve read so far, however, I recommend these stories to any fan of ‘swords-and-sorcery’ fiction. Wagner is a solid writer who describes his scenes in an economical but evocative manner. The stories generally are engaging, and sometimes have genuinely surprising twists in them. 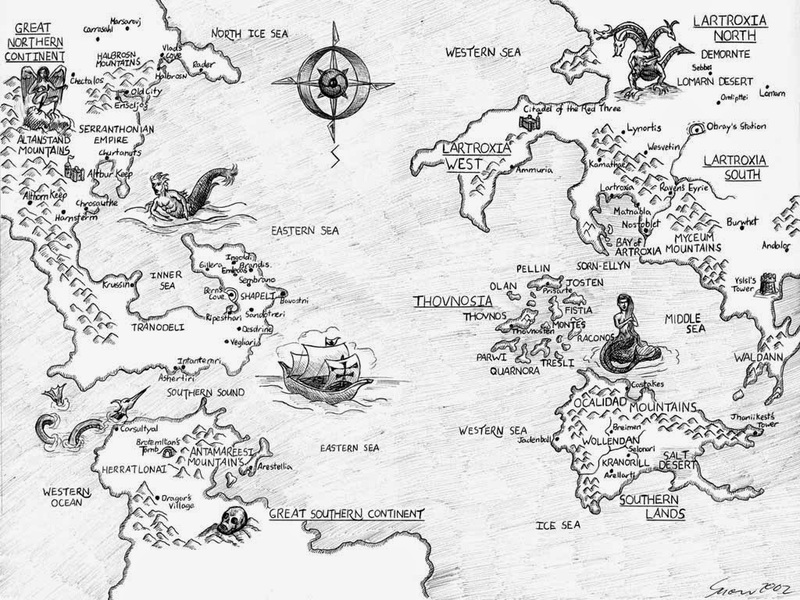 The world in which the stories take place is a classic swords and sorcery one. There is magic in the world – indeed, Kane himself practices sorcery at times, such as in the story “Undertow” – yet it is generally subtle, dark, and eldritch. Kane himself is an unsympathetic yet strangely compelling character. He does a lot of very evil and savage stuff, yet nonetheless comes across as intelligent and even charismatic. Evil as Kane frequently is, his enemies, including putative ‘heroes’ like the band that hunts Kane in the story “Cold Light,” often are no better, and frequently quite a bit worse. The world of Kane is a morally grey one, with the darker shades predominant. The character of ‘Kane’ seems to be based loosely upon the Biblical ‘Cain,’ though with some noteworthy differences. For instance, in “Misericord” Kane claims that Adam was his father and that Eve was his stepmother (thus implying that his actual mother was Lilith?). Part of Wagner’s fictional history, I suspect, is the idea that later myths concerning Adam, Eve, Cain, and Abel were based roughly upon the ‘real’ Kane and his origins. Anyhow, I’ve found myself thinking repeatedly, as I’ve been reading these stories, that the world of Kane would make a great setting for Crypts and Things (my favourite OSR ‘near-clone’ FRPG). 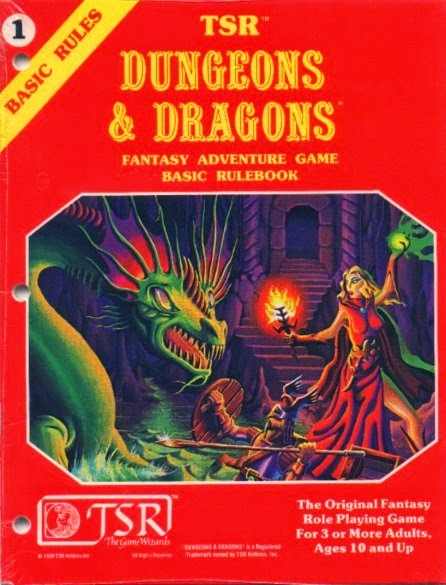 Related to the release of the 5th edition of Dungeons and Dragons and the game’s 40th anniversary, there were two articles on D&D in major publications yesterday: one in the New York Times, and one in the Guardian. I'm sure that most people who are into RPGs already know about this, but the 'Basic Rules' for the fifth edition of Dungeons and Dragons are available in a free PDF here. 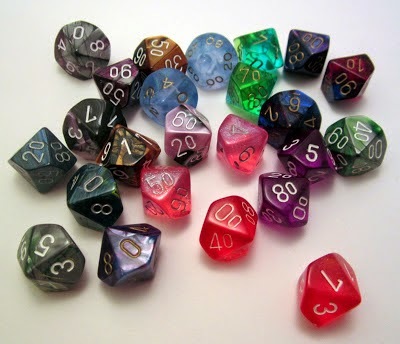 This article, ​"The 20 Most WTF Magical Items in Dungeons & Dragons," is a fun read. 13) Druid's YokeIf you're in a D&D campaign where you need to do any kind of farming, you have bigger problems than any magical item can fix. But this yoke allows characters to — when they put it on themselves — turn into an ox. Not a magical ox; a regular ox. Then you can till your field yourself! You can't do it any faster, because again, you're just a goddamned ox, but it does allow you to… do the horrible manual labor… instead of the animal you've bred for this exact purpose. So that's… something someone would totally want. The best part? Once you've put it on, you can't take the yoke off; someone else has to do it for you. Because you're a goddamned ox. The dynamic duo at the Design Mechanism have produced a 'basic' version of RuneQuest 6 and made the PDF available for free (though donations are appreciated). It is available at DM's website (download page) or at DrivethruRPG. 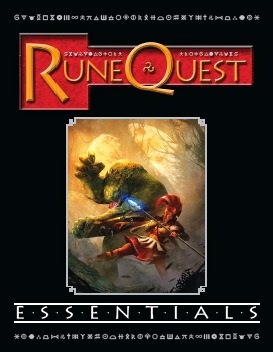 We are releasing RQ6 in a much-reduced, introductory PDF edition called RuneQuest Essentials. Designed for those who want to try RuneQuest before migrating to the full rules, it offers a great way of getting to know one of the most celebrated roleplaying game systems out there. What's more, RuneQuest Essentials is free. You can download it from www.thedesignmechanism.com/downloads (or via DrivethruRPG and our publisher page there). If you feel we're being overly generous, then there's a Donate button you can use to make a contribution of whatever you feel appropriate - or, at Drivethru, you can Pay What You Want. What we want is for you to try RuneQuest. We'll be publishing an introductory scenario, Sariniya's Curse, very soon, and there's already a wealth of additional free material available on the Downloads page. So if you've never tried RuneQuest before, there's no better time, and no better way, than with RuneQuest Essentials. I think that this is a brilliant move (and, if I may be momentarily immodest, remember suggesting to Loz that he do something like this over a year ago). The Call of Cthulhu has long offered an excellent quick start free PDF. Given that WotC will be making the 'basic' version of 5e Dungeons & Dragons available as a free PDF, this seems to be the way of the future. As I've mentioned before here, RuneQuest 6 is the best FRPG to have been published in the past two decades. Check it out! In case you are curious. 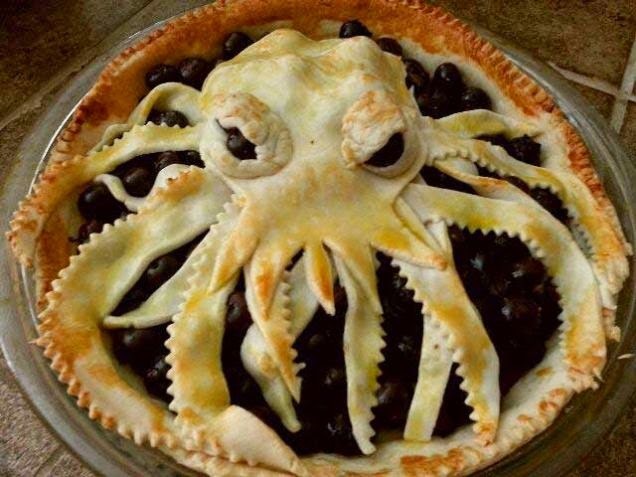 In R'lyeh, Pie Eats You! 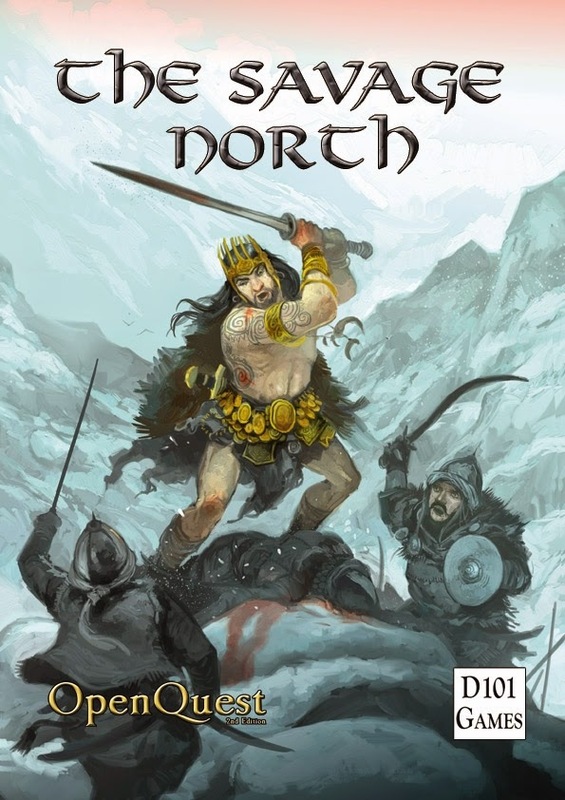 I’m delighted to note that D101 Games recently has released a revised version of their excellent campaign setting and adventure pack, The Savage North, by John Ossoway and Newt Newport. Designed for use with OpenQuest, it should be easy to run with other d100/BRP systems. I purchased the original version (both print and PDF) back in 2010, and thought very highly of it then. 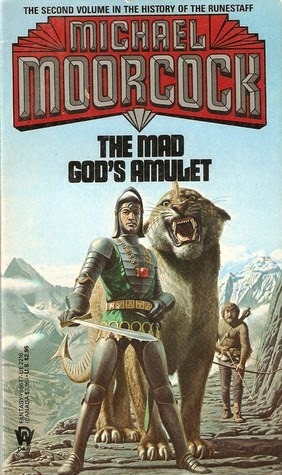 The revised version retains all what was fun about the original – including a modified version of Jon Hodgson’s wonderful pulpy cover (the savage barbarian now has a crown!). But the revised version of The Savage North also includes some new stuff. Especially helpful, I think, is the section that discusses how to reconcile the ‘swords-and-sorcery,’ ‘Conan-esque’ vibe of the setting and adventures with the OpenQuest mechanics. Additional advice on creating OQ characters appropriate for the setting also is provided. So, if you’re a fan of OQ, or d100/BRP games more generally, and love the swords and sorcery genre, then consider a journey into The Savage North! Fortunately, some of Hawkmoon’s companions are interesting. There is the world-weary Count Brass, a grizzled veteran of many wars, now Lord Guardian of the Kamarg. Also of note is Oladhan, an honourable dwarf and skilled archer, the hirsute son of a human and mountain giant. Finally, there is the Frenchman Huillam d'Averc, who first encounters Hawkmoon whilst serving as a mercenary in the army of evil Granbretan, but later allies himself with the Kamarg. D’Averc is far more witty, clever, and all-around interesting than Hawkmoon (he sort plays the ‘Han Solo’ to Hawkmoon’s ‘Luke Skywalker’). The story improves markedly whenever he is featured. Ah yes, the masks. One thing that makes the Granbretans so interesting as a people is the fact that they are compelled to wear masks whenever out in public. Indeed, their whole society manifests a kind of mental illness. All Granbretans belong to different ‘orders,’ each of which has its own official mask (the leaders wear ones shaped from fine metals, with gems, etc. ), most of which are modeled on animals (wolves, rats, mantises, and so forth), though there are some exceptions (such as Taragorm’s clock). 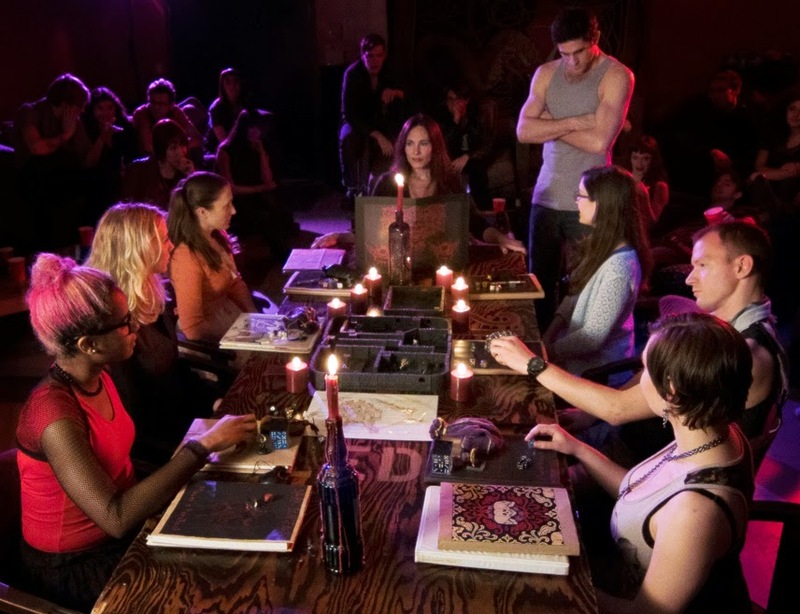 The society overall is rigidly ordered and hierarchical, with baroque architecture and items that are mixes of technology and magic. And it is, well, evil: Granbretans see their destiny to be that of dominating the world, and perhaps the multiverse, under the despotic rule of the undying Huon. I would be hard pressed to think of a more colourful and frankly ‘fun’ evil empire in fantasy literature. So I recommend reading the Hawkmoon tetralogy, but for the secondary characters, villains, and the distinctive setting -- not the protagonist! Basic D&D is a PDF that covers the core of the game. It’s the equivalent of the old D&D Rules Cyclopedia, though it doesn’t have quite the same scope (for example, it won’t go into detail on a setting). It runs from levels 1 to 20 and covers the cleric, fighter, rogue, and wizard, presenting what we view as the essential subclass for each. It also provides the dwarf, elf, halfling, and human as race options. But the best part? Basic D&D is a free PDF. Anyone can download it from our [WotC] website. Nice move. I can forgive (almost!) the absence of character creation rules from the starter rules. Why Do We Seem to be Alone in the Universe? This article on the 'Fermi Paradox' is pretty awesome. To clear up the Starter Set - it's aimed at DMs, so no PC creation in the box. But players will be able to make characters without it. This strikes me as a dreadful decision. Players want to create their own characters, not use one of five pre-made generic characters. When I first started out in this hobby, over three decades ago (! ), character creation was a favourite way to pass the time. Also, it helped me to learn the rules. More generally, the character creation process promotes a sense of investment in players' characters. And frankly, not including character creation rules makes the starter set look like a sales gimmick, not a real game. Approx 15% of the D&D Player's Handbook will be free on WotC site to cover the basics of building characters for those getting Starter Sets. Although I haven’t been following the development of the ‘5th edition’ of Dungeons and Dragons very closely (indeed, not at all over the past year), I could not avoid learning that it very likely would start being released this summer. And now it’s official. The core rules will be released from July 20th to November 18th. For a basic summary, go here. For slightly more info, try here. I’ll be getting the ‘Basic Set’ – er… the ‘Starter Set’ – for sure. The price is okay, and I would like to see what this version of the game looks like. I really hope that I like what I see, that it turns out to be the case that the wonderful ‘Old School Renaissance’ did indeed have some impact on the development of 5th edition. I hope this not because I’m dependent on the Wizards of the Coast for my RPG needs. (Quite the contrary. The only WotC products that I’ve purchased in recent years were the reprints of the 1st edition AD&D rules and modules, the reprint of the original (1974) D&D rules, and some PDFs of out-of-print materials.) For ‘D&D-style’ gaming, my copies of 1st edition AD&D, Basic/Expert D&D, 0e D&D, the ‘clones’ like OSRIC and Swords & Wizardry, and the ‘quasi-clone’ Crypts & Things, will continue to meet my needs perfectly well. Nonetheless, I would be delighted to see a broadly ‘old school’ style of play being supported, at least to some extent, by the hobby’s leader (or one of its leaders, if WotC really has been supplanted by Paizo). The price for the core books, though, certainly is worrisome: 150 USD for the traditional triumvirate! 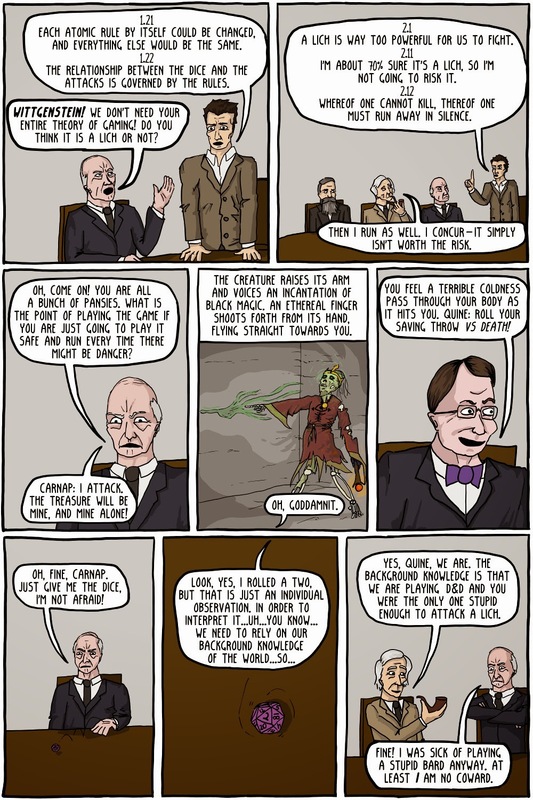 Here is another amusing strip on "Dungeons and Dragons and Philosophers" from Existential Comics!